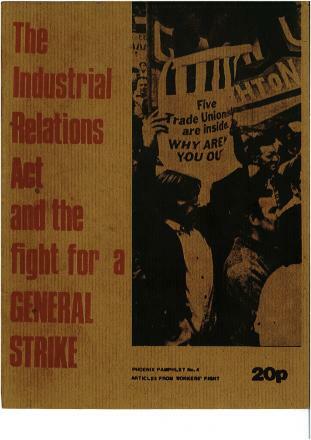 From the the fight against the industrial relations act, the booklet reviews relevant history and associated struggles of the time. Download articles as a PDF by clicking the links below. 1968: The Year 0f the Miracles! Then he had A thought: “Why don’t I give them a bit of encouragement?” So he did. Read more about 1968: The Year 0f the Miracles! Suddenly, like an enormous explosion, the revolt of the French working class has burst on a startled bourgeois Europe. Already it has changed the political climate of Europe as sharply as the rising of the sun after a long arctic night. Sparked by the militant actions of Trotskyist, Anarchist and Maoist students, and fanned by the viciousness of police brutality, the flames of revolt soon spread to the working class. It led to a great conflagration prepared by the long accumulated, bottled up discontent and frustration of the workers. In 1968 I was a 14 year old student at a posh school in the centre of London. Events of that year did not pass unnoticed even among the sons of the bourgeoisie. The film If made an impression and, even if we didn’t machine gun our teachers, there was at least one organised protest there demanding the right to party unconstrained by school rules on Saturdays. 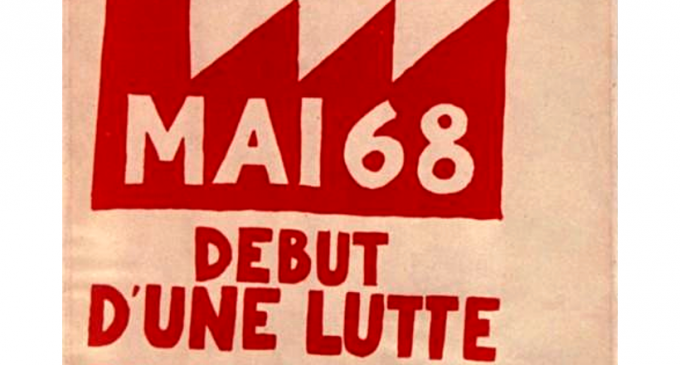 If you’ve been listening to the Radio Four’s series, 1968, a selection of old radio news broadcasts from each day of that year, you will know that it has got quite exciting (as exciting as Radio Four gets), covering events and France over the last two months.